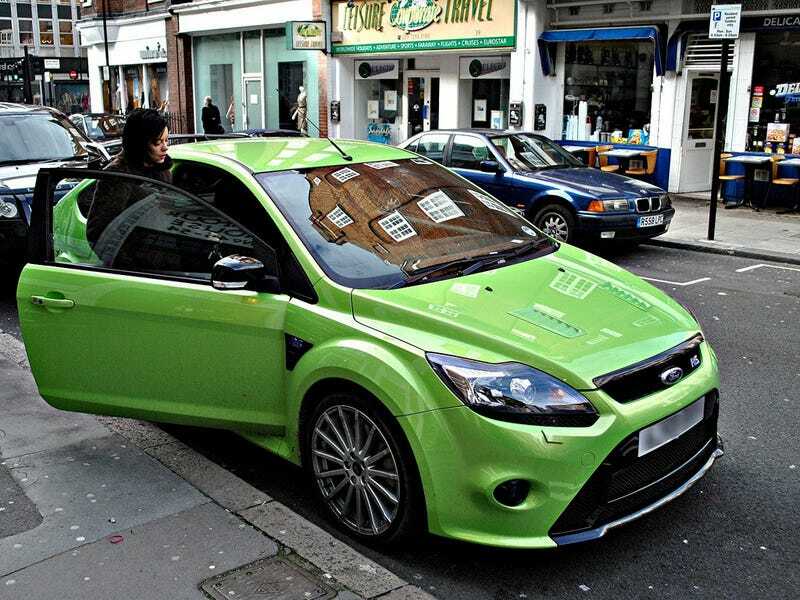 British pop star Lily Allen owns a Ford Focus RS and apparently knows how to use it. She recently appeared on YouTube ripping a handbrake turn in a deserted parking lot. Why can't all foul-mouthed poplets be cackling stunt drivers? A reverse 180 without stopping? Not bad, right? As it turns out, there's more — the clips below were posted on the same day but appear to have been filmed shortly after the first. Warning: Allen isn't driving in these two, but she does scream. A lot. The top video almost makes up for her being mildly irritating. The bottom two leave us on the fence. (Plus: general hoonage. Minus: that damn scream.) Still, Focus Focus Focus Focus Focus all day long. We live in the wrong country.